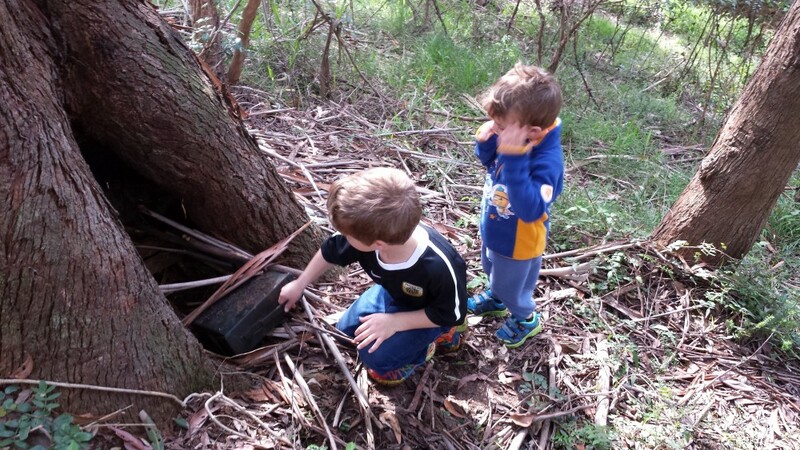 This morning I went out with the boys for a spot of geocaching. A notification came through for a new geocache which was published not far from home. It was a puzzle cache, and I managed to solve it fairly quickly. It had been available for about half an hour, so there was a chance that no-one had found it yet. We headed off in the car, and as we arrived at the cache location I could see that there were people standing in the area that the GPS arrow was pointing to. We ended up second to find, which was still pretty good. 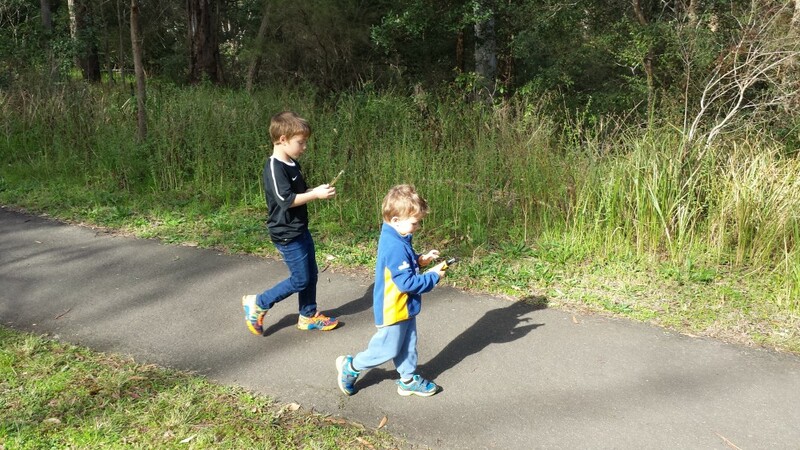 There were another couple of caches nearby which we hadn’t found, so we went for a walk to find them. The first one we went for proved to be a bit tricky to access with two children in tow (if I was by myself I would have given it a go). Initially we were on the wrong side of the creek with no easy way to cross. Even when we ended up on the other side after finding another cache, the bush seemed too overgrown to be able to easily get to the cache. The cache that we did find was a nice big one, and the boys had fun finding it. It was a very nice morning to be out for a walk, and the boys had a good time. We might need to do this more often now that the weather has cooled down and the snakes have retired for the winter. We were always very wary about venturing into long grass during summer. Not so much at this time of year.